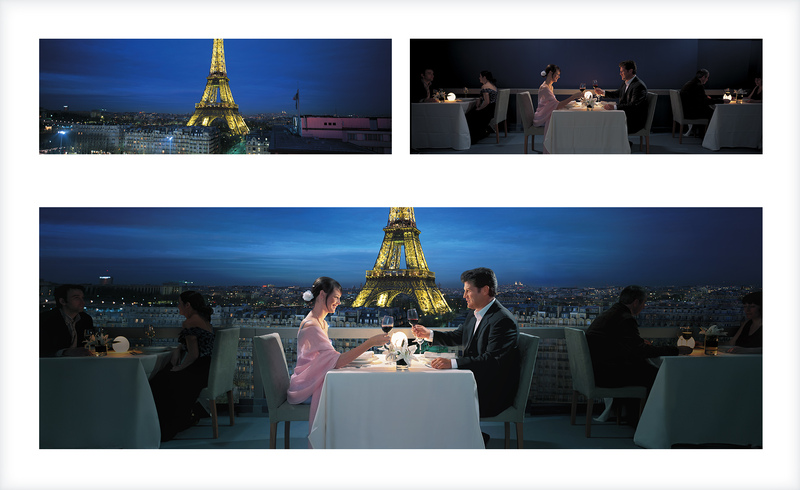 Retouching for CFA Institute •People and tables were isolated and composed with image of background. •Lighting was adjusted to make the center couple more prominent. •Buildings were created from parts of existing ones, and the Eiffel Tower was moved.